When the unit is damaged or out of order for some reason, check the following items while referring to the circuit diagrams. • Is the voltage supplied to the ICs correct? • Is the clock being output? • Are signals being output? There are cases in which the unit, though operating correctly, may seem damaged or out of order because of incorrect parameter settings or problems with peripheral equipment. • Is AC voltage being conducted on the (first order side??) of the power transformer? Check the AC cord, power switch, line bypass condenser, etc. Check the power transformer, power switch, C1 — C6, C10, C12, C16, D1, D2. IC2-4 (on the PSB), etc. Check IC1, IC2, C8. C9 and D3 (on the PSB). 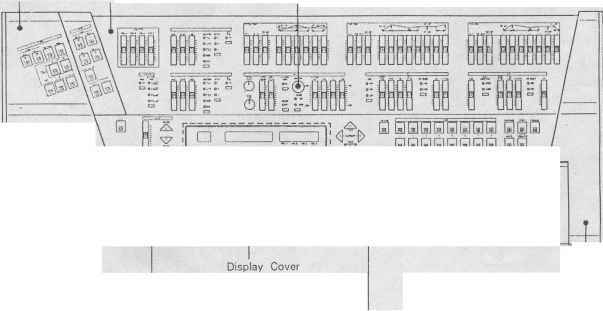 Check that there is no short between the power supply patterns on the Main Board, Jack Board and Card Board. ><7C1-C6, CIO. C12SO" C16, Dl, D2„ IC2~4 (on PSB) x y 9 LTTSl*.